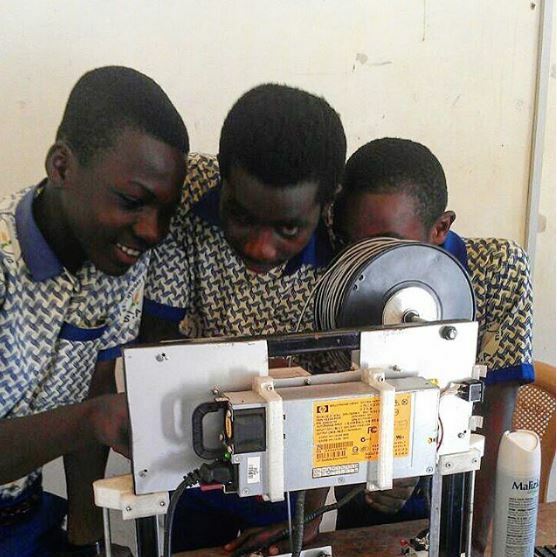 Students at Exponetial Education print their projects on a 3D printer built from recylced computer waste by KLAKS 3D, a start-up based at Kumasi Hive. Both Kumasi Hive and Exponential Education are part of Level Up Village’s growing network of global partners in Ghana. You would think as we have grown from just a few US schools to over 150 US schools that finding Global Partners would have gotten harder, but it hasn’t. It’s gotten easier. Why? Because word is spreading. A great example is our Level Up Village network in Ghana. 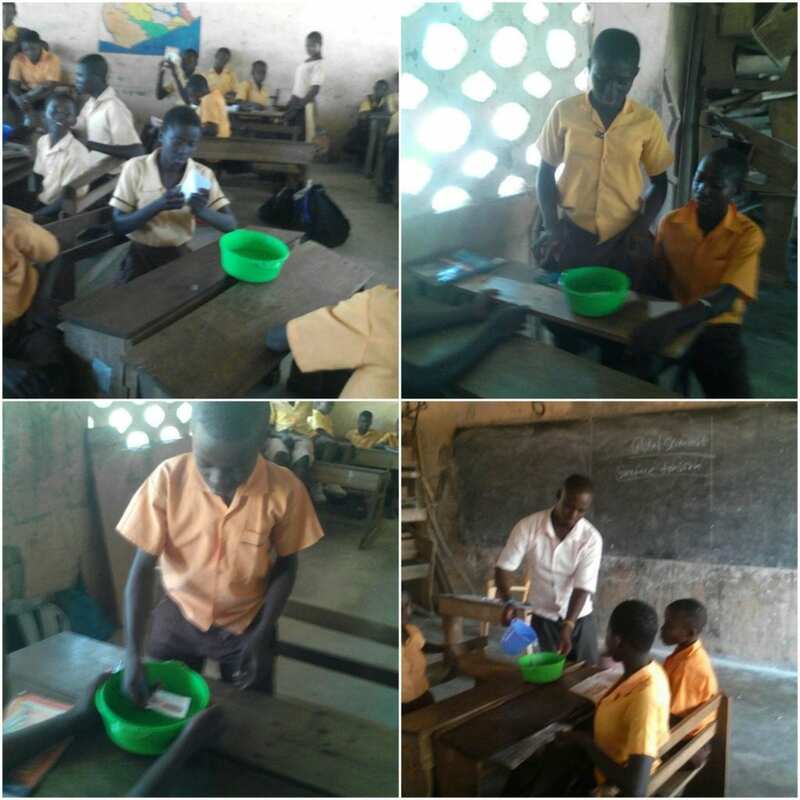 In November of 2015, we ran just one course with one school in Ghana. In 2016, we will run more than 40 courses with four partners at ten schools in Ghana, as well as in one of the country’s first Makerspaces. Here is how we got there. While in Ghana, Taylor heard about Level Up Village from a friend at St. Joseph’s, where LUV had recently begun offering classes. Our first connection was made. We agreed to pilot one class with Exponential Education and Antoa Middle School in September of 2015. Isaac Asante taught that first LUV course at Antoa: Global Video Game Designers. Isaac loved the effect the class had on his students and he has since taught half a dozen more LUV courses at Antoa. But Isaac is important to our story for another reason because he also wanted to bring LUV to younger students in his community. Isaac formed Kid Star Ghana to bring STEM collaboration to primary schools. KSG’s first course was in January and this summer, Isaac launched more LUV courses at several additional schools in his community. Students at Mensah School, one of ExpoEd’s partners in Ghana, watch a video message from one of their U.S. partners in Global Doctors DNA. We also now work with Kumasi Hive, an organization that works to support innovation, tech, creativity and entrepreneurship in Kumasi, Ghana. We connected with this organization after Taylor visited Kumasi Hive to buy a 3D printer for her LUV courses. 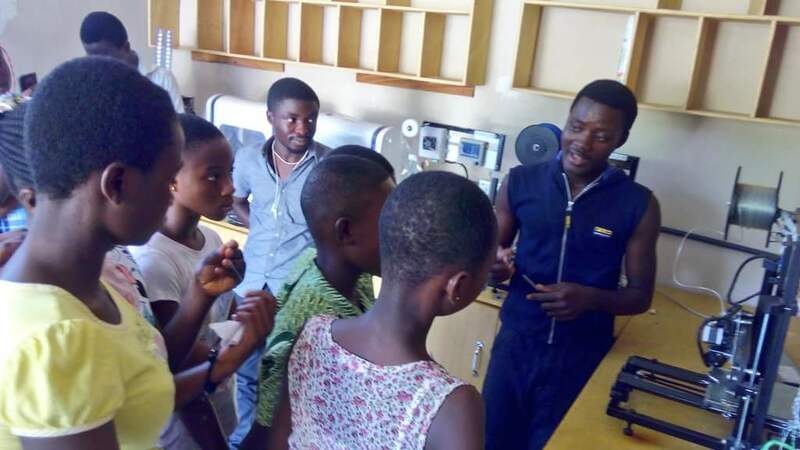 In addition to creating an open access maker space in Ghana, Kumasi Hive is an incubator for start-ups including KLAKS 3D, which builds low cost 3D printers from recycled computers and printers. Level Up Village presented an ideal opportunity for Kumasi Hive to get younger students involved with its maker space and another partnership was born. 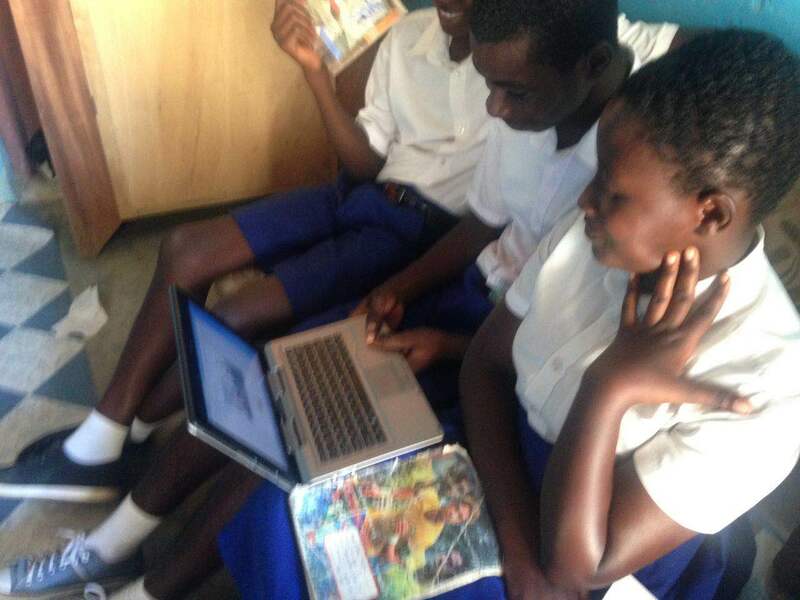 At Kumasi Hive, one of our newest partners in Ghana, students co-design projects in collaboration with partner students in the U.S. in LUV’s Global Inventors course. We’ve also added Youth Alive, another Ghanaian organization which helps give poor children a better chance in life in North, West and East Ghana and Girls Education Initiative Ghana, which works to transform young women into leaders of the future by providing mentoring and education to at-risk girls. These students at Youth Alive in Ghana are currently paired with Pace Academy in the U.S. for LUV’s Global Scientists course. They are studying water chemistry and possible solutions to the global water crisis. The great thing about all of these new partners is that we share a desire to make education exciting and inclusive for the children of Ghana. The passion our partners bring to that pursuit is something we are very proud of. We are even more proud that all of these partners came to us because previous schools and partners were happy with what we had done for them. Our connections in Ghana have also led to a new partner in south Kenya, Kikora Street Children’s Project. The Director of Kikora met a woman who had worked with Expo’s LUV project while both were in Sudan. Another connection made, another new partner. And so our network continues to grow. Sean Canavan: Sean is Vice President of Global Operations at Level Up Village.